Dr. Medeiros received his BS degree from Providence College and his MD degree from the University of Massachusetts Medical School. He took his residency training in Anatomic and Clinical Pathology at the New England Deaconess Hospital and fellow ships in Surgical Pathology and Immunopathology at the Stanford University Medical Center, and in Hematopathology at the Massachusetts General Hospital. He is Professor of Pathology and Chief of the Lymphoma Section in the Department of Hematopathology at the University of Texas M.D. Anderson Cancer Center. 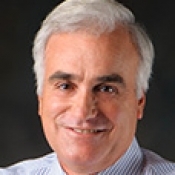 Dr. Medeiros serves on the Editorial Boards of eight pathology journals, has an extensive list of journal publications and has contributed chapters to 26 text books of the pathology of cancer and hematopathology.